Product Codes Version Dim (mm) Mass (kg) PLPL2236 L.. Product Codes Version Dim (mm) Mass (kg) PLPL2245 L.. 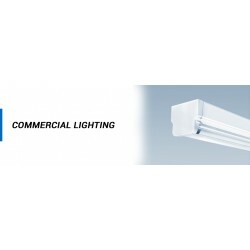 Product Codes Version Dim (mm) Mass (kg) PLPL4145 L..
T5LED 120-18W 40K Unique design with big beam angle and perfect light distribution. - Seamless ..
T5LED 60-10W 40K Unique design with big beam angle and perfect light distribution. - Seamless c..
BWPECO202E4,20W 2000lm 4000K Non-dimmable,655mm (L) x 130mm (W) x 92 (H)mm,1.0kg..
BWPECO202E6,20W 2000lm 6500K Non-dimmable,655mm (L) x 130mm (W) x 92 (H)mm,1.0kg..
BWPECO224E4,22W 2200lm 4000K Non-dimmable,1265mm (L) x 89mm (W) x 92 (H)mm,1.3kg..
BWPECO224E6,22W 2200lm 6500K Non-dimmable,1265mm (L) x 89mm (W) x 92 (H)mm,1.3kg..
BWPECO305E4,30W 3000lm 4000K Non-dimmable,1565mm (L) x 89mm (W) x 92 (H)mm,1.7kg..
BWPECO305E6,30W 3000lm 6500K Non-dimmable,1565mm (L) x 89mm (W) x 92 (H)mm,1.7kg..
BWPECO454E4,45W 4500lm 4000K Non-dimmable,1265mm (L) x 130mm (W) x 92 (H)mm,1.9kg..
BWPECO454E6,45W 4500lm 6500K Non-dimmable,1265mm (L) x 130mm (W) x 92 (H)mm,1.9kg..
BWPECO605E4,60W 6000lm 4000K Non-dimmable,1565mm (L) x 130mm (W) x 92 (H)mm,2.5kg..
BWPECO605E6,60W 6000lm 6500K Non-dimmable,1565mm (L) x 130mm (W) x 92 (H)mm,2kg..